Home / Media / Where Are You? 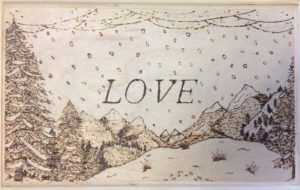 GPC’s Advent art exhibit, Where Are You? begins December 3 and continues through January 14. 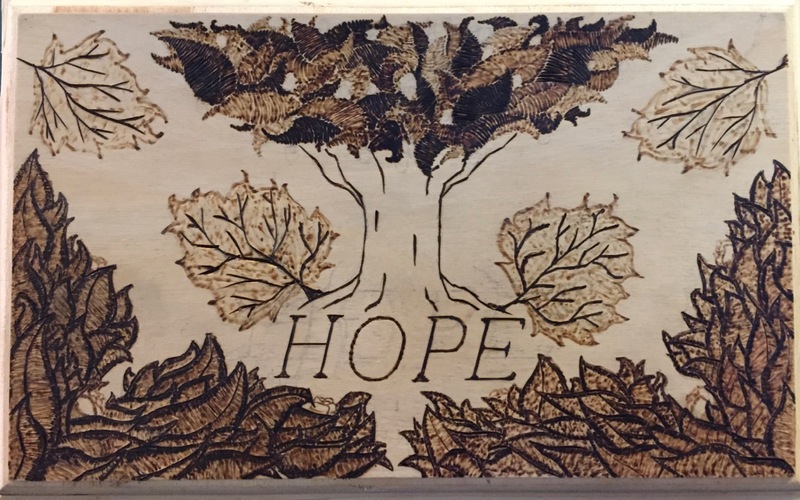 The first week’s theme is Hope. 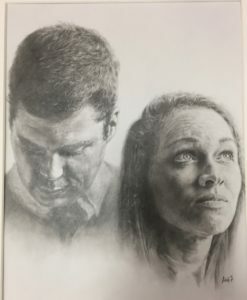 The first promise of hope comes in Genesis 3:15 where in the midst of God’s pronouncement of judgement and curse, God says that the seed of the woman will crush the serpent’s head. 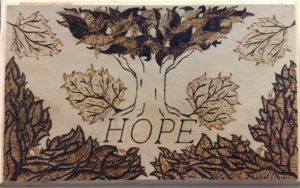 Asher McClain’s pyrography of the tree of life together with the new blooms points to this hope. Adah Freeman has captured the moment in which Eve beside her husband (whose head is bowed in shame), raisers her eyes upwards having heard the promise of redemption. 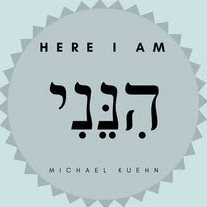 Michael Kuehn’s song, Adam, tells the story of Adam from creation, to loss, to hope. You may listen to the song via the player below, and the lyrics are provided. Michael’s song, Abraham, tells the story of Abraham’s journey with Isaac to the mountain upon which Abraham was to sacrifice his son. You may listen to the song via the player below. Dad, where are we going? Dad, how much farther now? Why aren’t you saying more? Can’t I at least carry the wood? 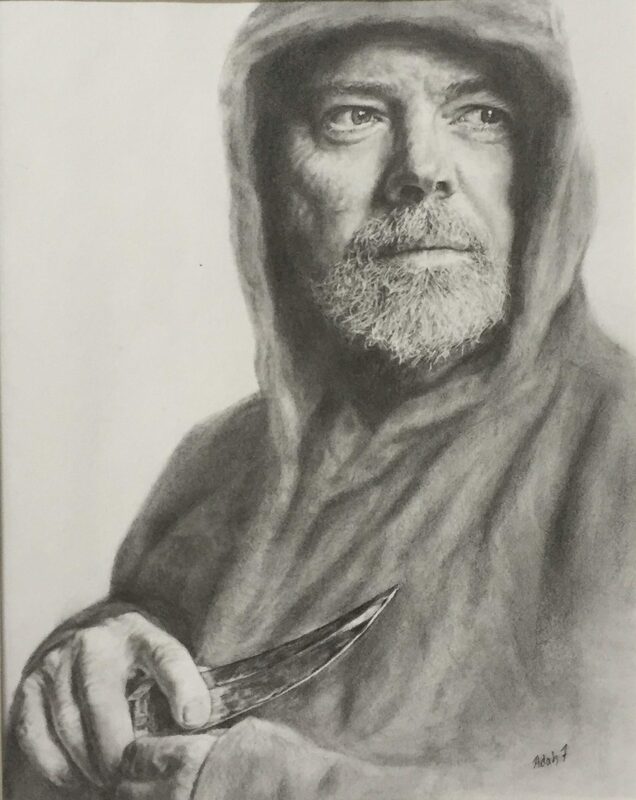 Have I ever told you, son? The third week’s theme is Joy. The joy of being found is realized when we come to see that the Lord has been seeking us. He draws us from the rivers of our lives and our wandering in the wilderness into his presence. His promise is that, if we trust him, we will worship him. 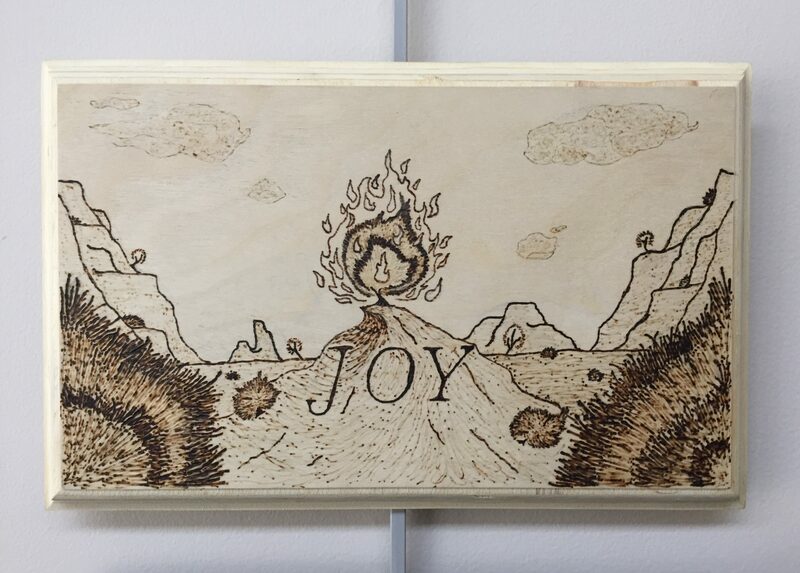 Asher’s pyrography is of the burning bush in Exodus 3. Adah’s portrait of Moses is of the moment Moses turns aside to see this curious fire. From the bush he hears the Lord’s voice speak to him. 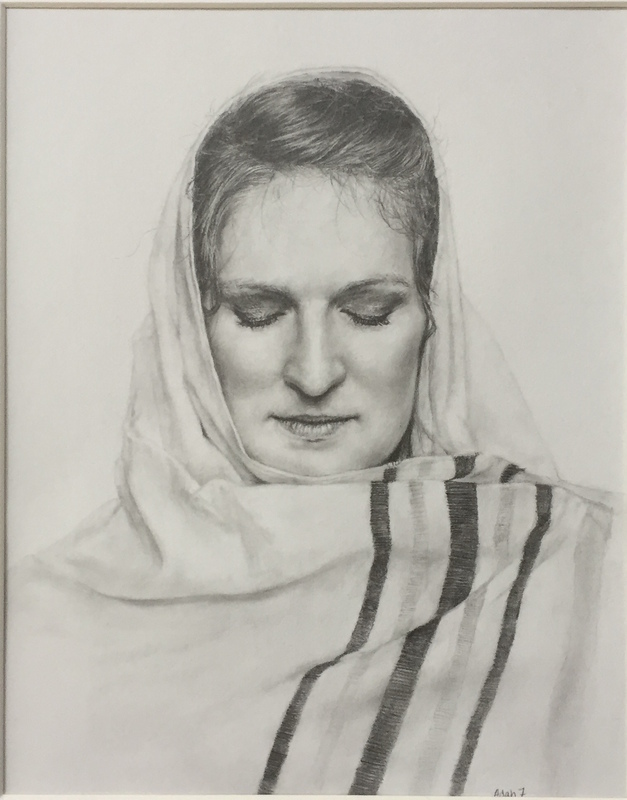 Michael’s song, Moses, tells Moses’ story and imagines what it meant for Moses to be drawn to the Lord and sent on the Lord’s mission. You may listen via the player below. 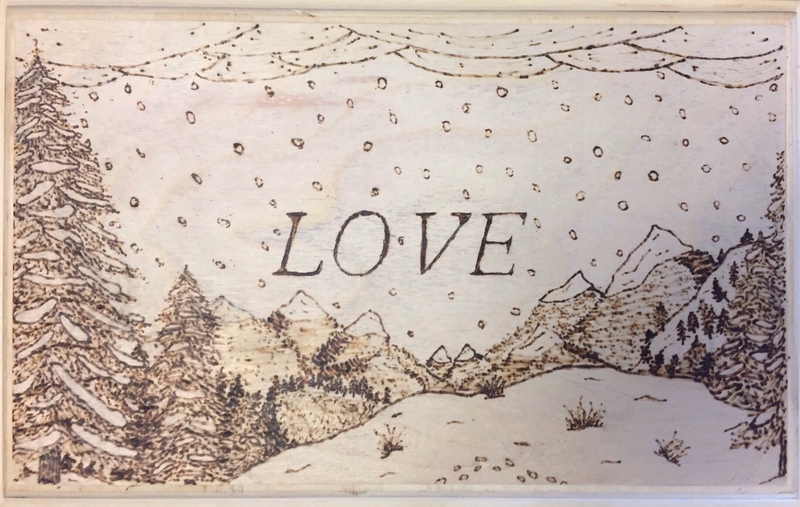 Asher’s pyrography captures the question. 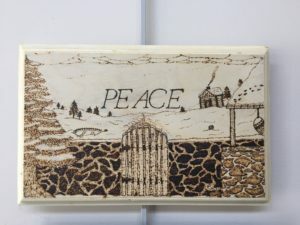 What gateway leads to peace? What security provides peace? 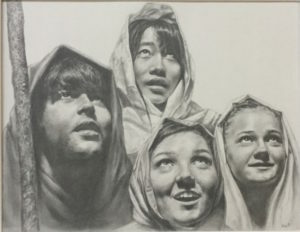 What vista’s inspire it? Adah’s portrait is that of Mary at the moment she humbly submits herself to God’s will and plan. Michael’s song, Mary tells the story from her vantage point. You may note lyrics from the Magnificat. (A nice touch if you don’t ask me). Here are the lyrics to Michael’s song. What sort of greeting is this? What sort of thing have I heard? What sort of feelings are these? What sort of mother will I be? Will He know my voice? Mind my words? Our final theme for the Candlelight Service was “Glory”. The glory of God rushes into creation with the birth of the Christ, Jesus, and the humble shepherds are the first to receive this news. Asher applies a new technique and orientation to set off our final theme. 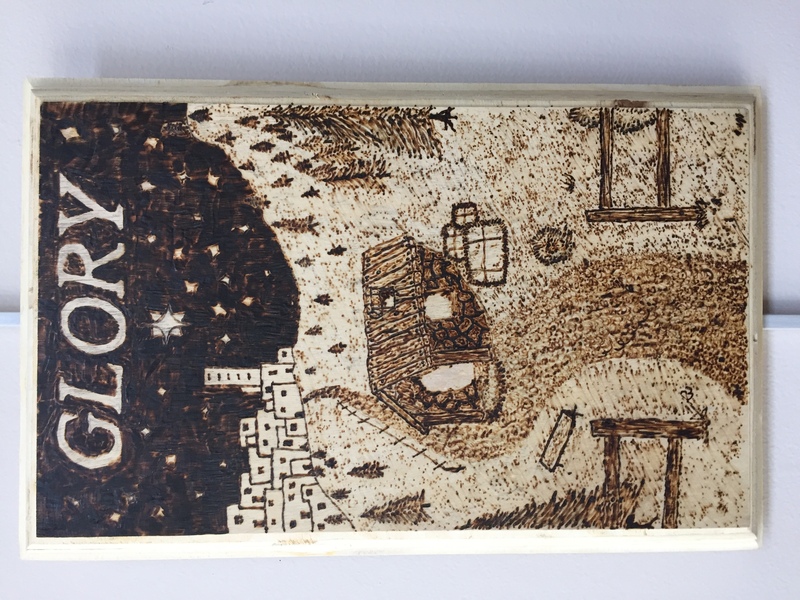 Asher makes use of negative space (by darkening in the sky and showing the lighted stable where the glory of God has made his appearance. 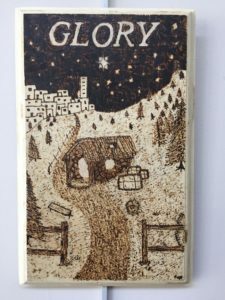 In addition the vertical nature of the pyrography not only complements Adah’s horizontal orientation (a change for her as well), but it draws our attention to the ascent and descent of the Son of God on Christmas. 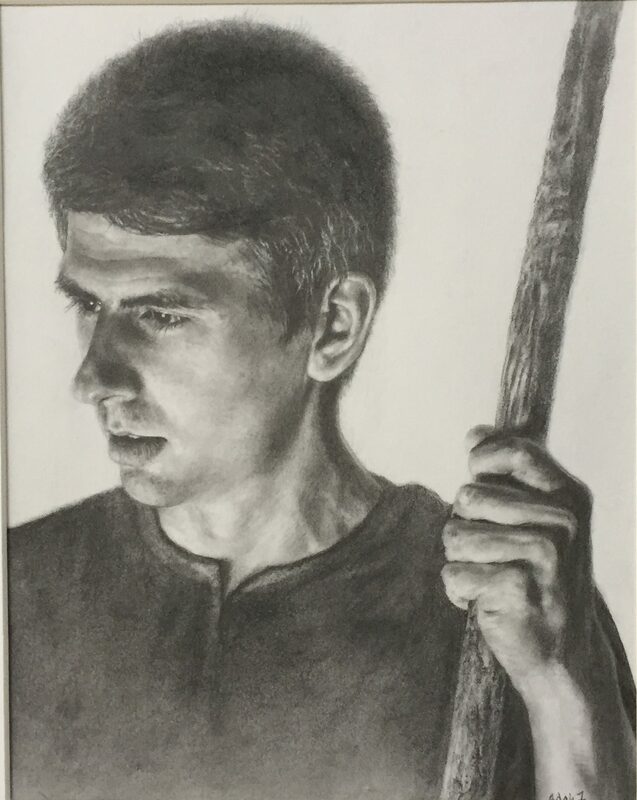 Here is Michael’s song, Shepherds, (Behold the Lamb) which captures a shepherd’s realization of who Jesus is and what he has come to do. You may listen via the player, and the lyrics are printed below. Saying, “This night is born a Savior who will free us all at last! You may purchase a digital album of Michael Kuehn’s songs through Bandcamp HERE.